In this article, we discuss some issues concerning magical thinking—forms of thought and association mechanisms characteristic of early stages of mental development. We also examine good reasons for having an ambivalent attitude concerning the later permanence in life of these archaic forms of association, and the coexistence of such intuitive but informal thinking with logical and rigorous reasoning. At the one hand, magical thinking seems to serve the creative mind, working as a natural vehicle for new ideas and innovative insights, and giving form to heuristic arguments. At the other hand, it is inherently difficult to control, lacking effective mechanisms needed for rigorous manipulation. Our discussion is illustrated with many examples from the Hebrew Bible, and some final examples from modern science. This Itell you brother, You can’t have one without the other. Try, try, try, and you will only come, To this conclusion. — Frank Sinatra, Sammy Cahn, and Jimmy van Heusen (1955). For the last 20 years, the Bayesian research group at IME-USP has been developing the FBST, namely, the Full Bayesian Significance Test statistical framework based on a novel measure of Statistical Significance, ev(H|X), namely, the e value or the epistemic value of hypothesis H given the observed data X. Our and other research groups are also conducting a systematic exploration of the intrinsic properties of the FBST framework, and studying the implications and consequences of its use, including pragmatical use and performance aspects, see for example Diniz et al. (2011, 2012), Johnson et al. (2009), and Lauretto et al. (2003, 2009); theoretical statistics properties, see for example Madruga et al. (2001), Pereira et al. (2008), and Stern (2011a, 2011b); and logical properties, see for example Izbicki and Esteves (2015), Stern (2004), Borges and Stern (2007), and Stern and Pereira (2014). Finally, a specific version of Cognitive constructivism has been developed as an epistemological framework amenable to all the aforementioned properties of the FBST, see for example Stern (2007a, b, 2008, 2011a, b). One remarkable and distinctive property of the FBST framework, compared to traditional measures of significance and hypotheses’ test methodologies used in either classical (frequentist) statistics or orthodox (decision theoretic) Bayesian statistics, is the FBST’s capacity to directly address the (statistical) significance of hypotheses concerning (statistical) parameters and, in this way, to enable the scientist to directly speak about (the credibility of statements concerning) latent (hidden) variables, causal links, and a variety of non directly observable entities. Traditionally, statistical science has been developed according to very strict Positivist guide lines, according to which, directly observable quantities should always be the primary focus of analysis, while parameters, i.e., quantities related to non-observables, should be regarded as second-class entities in statistical or scientific models. Classical examples of such non-observable entities include, depending on the Zeitgeist and the particular audience, the concepts of physical force or field, chemical atoms or molecules, biological genes, etc. As a consequence, any narrative based on non-observable entities is considered, in this positivist mind-set, as pre-scientific or as primitive metaphysical discourse (in this context, the adjective ‘metaphysical’ is used in two specific and complementary senses, namely, in the literal sense of beyond-physical or non-observable, or in the gnoseological sense concerning the study of valid forms of causation or causal entities). Therefore, intuitive explanations and insights involving non-observable quantities are to be deprecated. After all, according to the traditional positivist credo used in statistical science: The role of science should never be to give (causal) explanations for natural phenomena, but only to formulate reliable predictions of future observations! From the previous paragraphs in this introduction, we conclude that the FBST + cognitive constructivism epistemological framework has the potential to completely reverse the traditionally low status attributed to non-observable entities in statistical models, see Stern (2007b, 2011a, 2015a). In this new epistemological framework, parametric quantities, latent (hidden) variables, and causal relations can be legitimized and be brought (back) to the center stage of scientific activity and discourse. Many working scientists readily acknowledge the fundamental importance in the practice and development of science of causal explanations telling why things are the way they do, see Planck (1915, 1950) and Stern (2015a). These insightful narratives and intuitive explanations based on causal links, abstract objects, and all sorts of non-observable entities are labeled as unacceptable metaphysical explanations in a positivist framework but, under the right conditions, are welcome and perfectly acceptable in the FBST + cognitive constructivism epistemological framework. In the context of Computer Science, ontologies are formal languages intended for scientific use, designed as communication standards to facilitate the specification of procedures and unambiguous understanding of theoretical arguments. A scientific ontology includes a (formal) definition of the collection of objects of knowledge existing in a given scientific discipline and their organization, that is, the (semantic) relations that exist between these objects. The FBST + cognitive constructivism framework can be particularly useful in the characterization of abstract, theoretical or metaphysical terms in a scientific ontology, and amenable to the analysis and validation (or not) of hypotheses involving non-observable entities. In Stern (2014), we present some considerations on the evolution of scientific paradigms, using a Jacob’s Ladder of science version of the famous metaphor. Some contemporary views on the subject proclaim a necessary break in continuity, an unavoidable incommensurability, and the impossibility of meaningful conceptual communication between successive paradigms in the evolution of an empirical science, for further comments and references see Stern (2014, 2015a). In contrast, our Jacob’s Ladder of science perspective allows for, and in fact considers it to be a bare necessity of life, the existence of some degree of continuity in the means and methods employed by a scientific discipline and the possibility of meaningful conceptual communication between subsequent paradigms developed in a given field of study. In Computer Science, meaningful translations of terms between distinct ontologies is accomplished by ontological alignments, and a variety of algorithmic procedures have been developed for this specific purpose. As should be expected, our Jacob’s Ladder of science perspective of this cultural evolution process makes extensive use of the FBST + cognitive constructivism framework to characterize and quantitatively evaluate the quality of objects in a particular ontology and the strength of specific links in an ontological alignment. Finally, well-defined ontologies (including abstract objects) and a well-established ontology alignment between two successive paradigms in a given field of study should be able to shed new light on the intuitive motivations and heuristic arguments that lead to such an evolutionary step. The analysis of intuitive motivations and heuristic arguments has traditionally been excluded from philosophy of science, and scientists are often very reluctant in discussing their insights for developing a new theory. In several opportunities where such heuristic arguments have been openly shared, scientist had to face harsh criticism. Looking for safety and to avoid further annoyance, many scientist prefer nowadays a very dry and formal style of presentation, concealing their intuitive motivations and hiding their guiding insights. Fortunately, given its capacity to accommodate direct references to abstract objects and translations of terms between scientific ontologies, the FBST + cognitive constructivism epistemological framework opens the opportunity for a friendly integration of many forms of heuristic argumentation. Nevertheless, the scarcity, in the context of (Positivist) contemporary science, of specific tools or appropriate methods for recognizing, interpreting, analyzing, and treating heuristic arguments, motivates the research of such methods in other areas of human knowledge, in the hope that these tools could be adapted and assimilated. Biblical and Talmudic hermeneutics have a long tradition in the analysis of some forms of heuristic thinking, including what I call in this paper magical thinking. The final sections of this paper address some possible uses of such forms of thinking for creative interpretation and heuristic argumentation in the context of science. 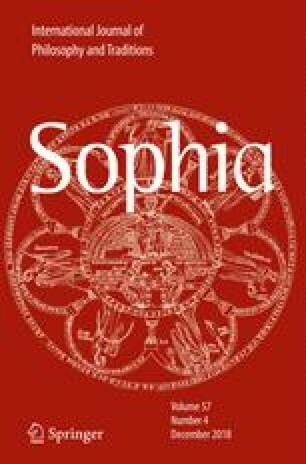 The first sections of this paper prepare the road: ‘Polysemy, Paronomasia, and Syllepsis’ section introduces some linguistic phenomena at the core of magical thinking: Polysemy, Paronomasia, and Syllepsis; readers already familiar with these concepts can skip this section without prejudice. ‘Magical Thinking in the Hebrew Bible’ section characterizes and exemplifies these linguistic phenomena as well as magical thinking in the context of the Hebrew Bible. ‘Jacob’s Ladder and Human Ontogeny’ section shows how magical thinking is normally used at early stages of human cognitive development, and follows the evolution of several forms of reasoning in human ontogeny. ‘Jacob’s Ladder and Human Ontogeny’ section also presents an Ontogenetic and a Phylogenetic version of Jacob’s Ladder metaphor, giving a general perspective of the successive and progressive stages of human thought. In contrast to the previously mentioned Jacob’s Ladder of science metaphor, this ontogenetic Jacob’s Ladder metaphor concerns primarily the development of an individual human life. ‘Up and Down Jacob’s Ladder’ section discusses the need, benefits, and appropriateness of using magical thinking and other archaic forms of thought, that is, forms characteristic of earlier stages of human ontogeny, in the context of science, often conceived as an exclusive domain of exact reasoning and formal argumentation. Syllepsis consists in the understanding of the same word in two different ways at once, as contextual meaning and as intertextual meaning. The contextual meaning is that demanded by the word’s grammatical collocations, by the word’s reference to other words in the text. The intertextual meaning is another meaning the word may possibly have, one of its dictionary meanings and/or one actualized within an intertext. In either case, this intertextual meaning is incompatible with the context and pointless within the text, but it still operates as asecond reference—this one to the intertext. For example, a famous pun attributed to Groucho Marx states: ‘Time flies like an arrow; Fruit flies like a banana.’ When either of the two sentences in the pun is stated isolatedly, the disambiguation of polysemic expressions is unproblematic. However, when the two sentences are stated together, they may create a syllepsis where the listener imagines a flying banana. That is because, although with distinct grammatical functions, the expression ‘flies like’ appears in both sentences, possibly causing a confusion that, in turn, generates the syllepsis. In contemporary western literature, syllepsis is a rhetorical effect used for nonsensical humoristic puns, and little else. The low prestige of such literary constructs is captured by another pun, this one attributed to Alexander Pope: ‘He who makes a pun would pick a pocket.’ However, in some ancient traditions, specially classical semitic literature, syllepsis is a literary effect of great prestige and importance. In this article we are going to examine several examples of the biblical text, and suggest some explanations for the use of these sylleptic effects. Scholars of the Hebrew Bible, however, have long understood paronomasia more loosely and have applied it to the repetition of same or similar consonants (a) regardless of where they appear in the relevant words, and (b) irrespective of whether the words are etymologically related. This is in step with the view of early rabbis who referred to the device as Open image in new window , lashon nofel ( al lashon, ‘language falling upon language.’ Noegel (2013a, p. 24). The Hagadah is also the name of a booklet, narrating the exit of Israel from Egypt, that is read at the holy supper of Passover (Eastern). At the end of the holy supper, it is customary to sing a song concerning the life and death of Open image in new window , had-gady ) a, a ‘kid’ or a little ‘lamb.’ This song also conveys some mystical or extra-historical meanings traditionally associated with the festivity, see Brander (1994) and Tabory (2008). At the beginning of the common era, Yeshua ben Yoseph, or Jesus son of Joseph, was a rabbi of Galilee, known for his peaceful mind and gentle manners, hence known by the nickname Open image in new window , hagady ) a, ‘the lamb.’ Jesus was also well known by his way of teaching, based on Open image in new window , hagadah, ‘story telling’ or ‘parables,’ in contrast to Open image in new window , halacha, the school of formal legal hermeneutics already favored by other contemporary teachers, see Brewer (1992). Moreover, it is important to consider that, at the the time of Jesus, classical Hebrew was a language no longer widely spoken, being replaced by popular Aramaic. Hence, the hagadic style was a far more accessible form of learning, including the features of being easily translatable and requiring no previous knowledge of classical languages or domain of special forms of argumentation. In the two examples above, similar sounding expressions containing the same word, hagada, generate a syllepsis that has a distinctive synergic effect: The alternative interpretations of the corresponding expressions in the syllepsis render complementary views of the same subject, and this complementarity, in turn, generates a mutual reinforcement effect. Before ending this section, an important remark concerning interpretation and over-interpretation: Alternative interpretations generated by paronomasia, syllepsis, and similar mechanisms are always, at least in part, in the ears of the listener. One reader may perceive a double interpretation where another reader does not, and this is perfectly alright. Another way of conveying the same idea is to suggest that a sacred text speaks to its reader according to his or her virtues and vices, wishes and needs. If we fail to perceive the subtle indicators of individuation and the exquisite twists and turns of character development that often lie ‘hidden in plain sight’, we do not simply fail to add aspeculative layer of overinterpretation to the history, or prophetic message, or plot. We risk ignoring the center stage and focus of this subtle work of divine anthropology. Klitsner (2006, p.16). Furthermore, Immanuel Casanowicz gives an extensive compilation of traditionally recognized cases of literary syllepses and paronomasia in the Hebrew Bible, also providing convenient indexing systems. In this article, whenever appropriate, these cases are referenced by example number: Casanowicz (1894, ex.number). Additional information may be provided by the page number for relevant words and radicals at Ernest Klein’s etymological dictionary: Klein (1987, p.number). In this section, we present several examples of paronomasia and syllepsis occurring in the biblical text, discuss the concept of magical thought, and explain some of its functions and the importance of its use. By Leitwort Iunderstand aword or word root that is meaningfully repeated within the text or sequence of texts or complex of texts; those who attend to these repetitions will find ameaning of the text revealed, clarified, or at any rate made more emphatic. As noted, what is repeated need not be asingle word but can be aword root; indeed the diversity of forms strengthens the overall dynamic effect. Isay ‘dynamic’ because what takes place between the verbal configurations thus related is in away a‘movement’; readers to whom the whole is present feel the waves beating back and forth. Such measured repetition, corresponding to the inner rhythm of the text – or rather issuing from it – is probably the strongest of all techniques for making ameaning available without articulating it explicitly. Buber and Rosenzweig (1994, p. 114). Ecclesiastes 7:1, brings a simple example we use to illustrate such ways of conveying implicit meanings. Kohelet, the preacher, states: Open image in new window , tov shem mishemen tov, ‘better to have a good name than to use good perfume.’ This statement repeats the thema Open image in new window in the words Open image in new window , shem, ‘name’, and Open image in new window , shemen, (perfume) ‘oil,’ see Casanowicz (1894, ex.469) and Klein (1987, p. 664, 667). These words are not etymologically related. However, one could think that, since these two words share the same thema, then also their meanings must be pertinently related or relevantly connected. In the example at hand, one could argue that a good perfume propagates in the air, announcing the presence and pleasant aspect of his or her user. In a similar way, a good name announces the presence and good nature of his or her bearer. However, no matter how refined the perfume, it is far more important to have a good name. According to the previous analysis, Jacob is perceived as a thinker, competent in following consequence relations, and able to ponder in advance the results of his actions. Meanwhile his brother Esau is perceived as a man of impulsive action that is often taken by surprise by the consequences of what he has done. In this respect, these two siblings share many similarities with the brothers π ρ o μ η 𝜃 𝜖 υ σ and 𝜖 π ι μ η 𝜃 𝜖 υ σ, Prometheus and Epimetheus of Greek mythology, whose names have a traditional etymology derived from the verb μ α 𝜃 𝜖 ι ν, mathein, to ‘think,’ and from the prefixes pro, ‘before,’ and epi, ‘after.’ Alternative etymologies for the name Prometheus are discussed in Jackson (2002, p. 85), Kuhn (1859, p. 12–20), and Sulek (2012). Perhaps some of the pseudo-etymological relations suggested by these authors, that sometimes lack enough corroboration by hard linguistic evidence, could be replaced by meaningful relations based on paronomasia and syllepsis. Because ‘word’, in ancient Israelite consciousness, was not separable from whatever ‘real’ referent it might designate, the commonest Biblical Hebrew word for ‘word’—dabar Open image in new window — may also signify ‘thing,’ ‘affair,’ ‘action,’ ‘act,’ ‘fact,’ ‘event,’ ‘process,’ ‘procedure’. Rabinowitz (1993, p. 8). In ancient Israel, owing to the conception of the nature of words, verbal and linguistic similarities and comparisons of every kind—metaphor, simile, paronomasia, and all other figures of diction—were held indicative of—indeed, constitutive of—relationships and effects not restricted, as in modern cultures, to matters of communication an expression. Since words were assumed to be compacted or concentrated forms of their referents, they could be thought of as possessing the properties of those referents. Rabinowitz (1993, p. 14). Other known functions of paronomasia and syllepsis are some forms mantic prophecy and magic sympathy. At Amos 8:1,2, the prophet has a vision of God presenting a ‘basket of summer’ fruits: vehineh keluv qaits, Open image in new window . God then explains the meaning of this symbol: ) elai ba ) hakets ) el- ( ami, Open image in new window , ‘we came to the end of my people.’ The repetition of the thema Open image in new window relates the words Open image in new window , qayts, ‘summer,’ and Open image in new window , qets, ‘end,’ indicating an implicit analogy, namely: The plant giving its fruit, at the height of the scorching summer, is approaching the end of a life cycle; in the same way, the people is also approaching the end of a life cycle, see Casanowicz (1894, ex.378), Jaynes (2000, p. 306) and Klein (1987, p. 577, 588). Some verses earlier, at Amos 7:5,7, the prophet comments on the beginning of this life cycle. The people, represented by Jacob, must grow-up, must stand-up. The prophet asks: Open image in new window , mi yakum ya ( akov ki katan hu ) , ‘by whom shall Yaqob arise? for he is so small.’ As an answer, God presents himself ‘standing next to a vertical wall, holding at his hand a plumb-line’, ) adonay ni ( ad ( al-chomath ) anakh ubeyado ) anakh, Open image in new window . The root Open image in new window means lead and, by analogy, plumb line and vertical. Moreover, in many semitic languages, the root Open image in new window forms the first person pronouns. In Hebrew, the singular and plural pronouns, I and We, are: ) anokhy, Open image in new window , and ) anakhnu, Open image in new window ; In Aramaic: ) anah, Open image in new window , and ) anakhna, Open image in new window , see Klein (1987, p. 40). Therefore, we can understand that the tool for raising Jacob is this token of self-reference and self-identity that we call Ego, the first person pronoun. Of course, as the prophet wisely warns, an hypertrophied ego is responsible for all kinds of spiritual maladies, see Jaynes (2000, p. 295–6, 372). The last example in this subsection concerns a case of sympathetic magic. At Numbers 21:8,9, God orders Moses to make a ‘snake out of copper,’ vaya ( as moshe nekhash nekhoshet, Open image in new window , a magical object whose very name echoes the thema Open image in new window , a root that means either copper or magic, and then take this object and ‘place it at the top of a pole,’ Open image in new window , vaysimehu ( al-hanes. The word Open image in new window , nes, means either ‘miracle’ or ‘pole,’ and, by analogy, a sign, that is posted at a column or at the top of a pole, see Klein (1987, p. 412, 418) and Hurowitz (2004). Hence, we can understand that the copper snake is able to perform its function either by virtue of magic powers, or by means of a semiotic effect, by serving as a sign for something that has to be recalled or remembered. If a name gives the identity and renders the essence of an entity, then the operation of re-naming an entity implies a change of its identity, and can also deliver a corresponding change in the named entity’s actual characteristics. This is the ultimate and also the most extreme form of magical thinking we are going to examine. At Genesis 32:28,29,32, Jacob receives a new name, Israel, because he has struggled with persons and with an angel send by Elohim and prevailed, ky-sarita ( im- ) elohym ve ( im ) anashym vatukhal, Open image in new window . Here, the biblical text explicitly derives the name Open image in new window , ysra ) el, from the words Open image in new window , saryta, struggle, and Open image in new window , ) elohym, a name of god, representing His angel, see also Casanowicz (1894, ex. 424). This story has some very strange or mysterious details, see the comments of Geller (1982) and Ross (1980). In this reading, the angel Lama-Ze is the angel of metaphysics, who is constantly investigating why it is that things are the way they do. This is the gnoseological or Aristotelian view of metaphysics. And that is also the blessing that Israel receives: An upgrade of his name and of his essence: From simple searcher of consequence relations, to researcher of causal relations; a promotion from tracker of consequences in chains of events, to seeker of deeper insights or understanding of causal links. Jacob ‘becomes’ Israel by asking, by struggling, by actively inquiring and demanding an understanding about the world, by searching for causal relations explaining the way it is and how it works. Finally, let us go back to the ritualized eating taboo. The root Open image in new window , nshh, meaning ‘sciatic’ is a hapax legomenon, a word appearing only once in the entire biblical corpus. Everywhere else this root appears, and it appears often, it means to ‘forget.’ Meanwhile, the word Open image in new window , gyd , means ‘sinew,’ ‘vein,’ while Open image in new window , hagyd means (he) ‘told,’ (he) ‘narrated.’ Hence, one can easily read the expression, Open image in new window , the sciatic sinew, as forgetting the story told, see Klein (1987, p. 91, 97, 138, 428) and Klitsner (2006, p. 136). Moreover, the basic (Qal) form of the verbs Open image in new window , le ) ekhol, to ‘eat,’ and Open image in new window , to ‘wish,’ is very similar, see Klein (1987, p. 17, 27). Hence, the alternative reading: The children of Israel shall not wish to forget (the tale told)! The children of Israel shall want to remember (the lesson learned)! At many temporal scales—daily vigil and sleep cycle; individual birth and death; raise and fall of civilizations—we are always learning and forgetting; finding, loosing and (re)creating knowledge and wisdom. Riffaterre (1980, p. 637), paraphrases Hegel (1977, par.108–9, p. 64) Phenomenology of Spirit: Natural consciousness, too, is always learning from experience what is true in it [and then] it is always forgetting it and starting the movement all over again. Nevertheless, if we can help it, it is better to preserve this knowledge, it is better to remember what we have learned and be able to recall this wisdom, because that is perhaps the most valuable good that we have. Revisiting several examples examined so far (say Gen 25, Amos 7, Gen 32, Gen 28), I begin to see a pattern. For me, they suggest parallel evolutionary ladders representing the acquisition of linguistic skills and rational or intellectual abilities: The first ladder of this evolution metaphor concerns human ontogeny, that is, the development of an individual human being; a second or parallel ladder concerns human phylogeny, that is, the evolution of the human species. A compact representation of the Ontogenetic Jacob’s Ladder is given by the seven steps at Fig. 1. It should be stressed that, in this article, we refer to Jacob’s Ladder metaphor (after Genesis 28) in at least three distinct versions related to rather different time scales: Human ontogeny takes less than hundred years, recorded human cultural history spans about ten thousand years, and the differentiation of genus Homo takes place in a few million years. From relatively free, uncontrolled or ungrammatical associations based on visual shape matching or sound pattern matching, to progressively more controlled, grammatical and complex chains of relations, to the long sequences of formal argumentation, mathematical demonstrations, and rigorous logical proof. This seems to be our road of development for language, reason and thought, as depicted in Fig. 1. Jacob’s Ladder is a consecrated symbol of human development and evolution. The Ladder of the Intellect has often been used as an allegory for critical thinking or for the process of scientific discovery, see for example Bacon (1605, B.II, Ch.7), Bacon (1608, 2008), Bacon (1620, I: xxxi, xxxvii, cff; II: lff), Klein-Braslavi (1987), Kuntz and Kuntz (1988), Ross (1985), Segal (2011) and Whitehead (1917, p.44). Interestingly, the title Scala Intellectus sive Filum Labyrinthi, ‘the ladder of understanding or the tread of the labyrinth’, of Francis Bacon’s work of 1608, compares the ladder of intellect to Ariadne’s clews (or clues), used as guide-lines in the labyrinths of implicit meaning that the intrepid explorer must traverse in his or her journey of discovery. Moreover, this ancient Greek legend may suggest that the traveler’s already acquired concepts or ‘words,’ μ υ 𝜃 o σ, mythos, are the raw material used to spin the pertinent ‘treads’ of meaning, μ ι τ o σ, mitos. The development of religions in general, or at least the development of Jewish religion, seems to follow this evolutionary pathway. After the first century of the common era, the Talmud begins to be compiled, and progressively becomes the canon of rabbinic Judaism. Talmudic logic includes deductive, inductive, probabilistic, recursive, circular (in the sense of hyperset theory), and many other complex forms of reasoning, that are expressed according to standard and formal rules for argumentation; see Brewer (1992), Hidary (2012), and Klein (2013). The correct interpretation of these rules in the perspective of modern Logic and the development of appropriate mathematical formalisms for this specific purpose is an interesting area of current research, see for example Abraham et al. (2009, 2012, 2013), Schumann (2012) and Rabinovitch (1973). The psychologist Lev Simkhovich Vygodskii (who latter changed his identity to Lev Semyonovich Vygotsky), presents interesting ideas on the early development of thought and language that are well-suited to describe some of the first stages depicted in Fig. 1, see Shands (1968, p. 106-108) and Wertsch (2007, p. 184–185). The psychologist Julian Jaynes extrapolates Kielmeyer’s recapitulation principle from its original scope in embryology to the field of psychology. The Recapitulation principle, also known as Biogenetic law or Embryological parallelism, states that – Ontogeny recapitulates phylogeny. This statement of the principle is due to Ernst Haeckel but its modern expression dates back to Karl Friedrich Kielmeyer (1793), see also Coleman (1973), Gambarotto (2014), Gould (1977), Grant (2006, p. 129), Holmes (1944), Kuijsten (2008), and Lenoir (1982, p. 49). In a similar way, Jaynes (2000) correlates main stages in the cognitive development in a human individual to characteristic stages of cultural development in human civilization. Even if we do not have enough hard evidence to corroborate Jaynes’ hypotheses, his work was for me extremely insightful. Each of the theories and insights on human psychological or cognitive evolution presented by the aforementioned authors conveys a distinct perspective; nevertheless, they also present consonant aspects or resonant features, often offering complementary rather than contradictory points of view. Using the ontogenetic Jacob’s Ladder metaphor developed in previous sections, we find, at the top of the evolutionary ladder, inference chains with logical rules represented by powerful algebraic properties, like associativity, commutativity, transitivity, fixed-points, etc., see for example Abraham et al. (2009, 2012, 2013). Association mechanisms characteristic of the early stages in the development of religious systems, are at the bottom of Jacob’s Ladder, were we find relatively free or ungrammatical association mechanisms. These association mechanisms are characterized by weaker algebraic properties, for example, we may have non-transitive inference rules with limited range. Much scarcer are the studies available and much fewer are the scholarly works focusing this kind of weak association mechanisms. There are however, noticeable exceptions, see for example Franks (2012). The evolutionary perspective in which this article presented Jacob’s Ladder metaphor may induce the idea that it represents a unidirectional path to be traversed only once, with no good reason for ever looking back, that one should climb this ladder up, and that former steps should never be revisited. Nevertheless, I believe this perspective to be short-sighted and, in the long run, misguided. A time honored idiom advises: – Do not throw away the ladder after having climbed upon it! The copper snake, or nehushtan, made by Moses around 1400 BCE, as described in Numbers 21:9, ended up being destroyed by King Hizeqiya around 700 BCE, as described in 2 Kings 18:4. Hizeqiya took this action in order to prevent the dangers of sinful idolatry or wicked magical practices. All contemporary monotheistic religions have banned any form of idolatry or manipulative magic, see Bateson (1987, p. 2, 56) and Weber (1919). Nevertheless, daily religious practice, and also modern psychotherapy, recognize the need of using ontogenetically archaic forms of communication and thought. For example, at Rosh Hashanah, the Jewish new year, it is a traditional custom to invent, prepare, ‘say’ and ‘eat’ new culinary pun-dishes, like: To a peas-ful year! Raisin salaries! Lettuce go, Thyme to Beet our obstacles! etc. Meanwhile, a modern psychotherapist systematically analyzes language slips in order to infer some ideas of the patient under analysis, long before the patient is conscious of these ideas or is able to articulate them in grammatical form. For example, when preparing the audio track for the presentation of this paper, I miss-pronounced the order given to Moses concerning the nehushtan: Instead of saying the word Open image in new window , vaysimehu, to ‘place’ (the sign at the pole), I pronounced the word Open image in new window , veysmehu, they will ‘rejoice.’ Obviously, I was anticipating the happiness of the the people of Israel for the cure of its affliction provided by Moses action. The similarity between the last two Hebrew expressions only makes a poor paronomasia for literary use, but it was more than sufficient to trigger my verbal slip. This example points to possible comparisons and also to some possible contrasts between these two phenomena, namely, literary syllepsis and spontaneous verbal slips (Fehlleistung, parapraxis), a theme that must wait to be developed through future research. The examples examined in this section point to an ambivalence concerning the permanence later in life of archaic forms of association, characteristic of early stages or development, forms of association that we placed at the first steps of the ontogenetic Jacob’s Ladder, see Fig. 1. In the remainder of this section, we will continue to investigate this ambivalence, in the hope of overcoming its paralyzing effects. Any system of knowledge (or any living and knowing system, in whatever form it currently is) has a limit to what it can explain, making it impossible to see beyond that horizon. As the system follows its path of development, it will find obstructions and bottlenecks that it will try to overcome. At such developmental bottlenecks, life seems to be too constrained, preset limits seem too tight, with no degrees of freedom left to explore. This is one way to understand why the preacher feels his knowledge to be so restrictive and confining, as expressed in verse Ecclesiastes 12:11, see also Casanowicz (1894, ex. 78), Open image in new window , dibrey hakhamym kadarebonoth ukemasmerot netuym ba ( aley ) asupoth, ‘the words of the wise [are like] spikes and nails, fastened by the masters of assemblies.’ At a developmental bottleneck, a frozen spirit in such a stiff state of mind, must reacquire its mobility and regain its creativity. Behavioral patterns and forms of thought that became too rigid and restrictive must be at liberty to be reshaped, new degrees of freedom must be introduced in the system. Bruner (2002) and Efran et al. (1990) provide practical examples in psychology where changing the narratives describing a situation in life is the key to overcome perceived obstacles or to achieve much needed transformation goals. In order to make such changes possible, the unidirectional ascending motion at Jacob’s Ladder is not only ineffective but in fact detrimental and counterproductive. Genuine creativity may require from the living system the flexibility of earlier days, a return to primeval resources, a reconnection to the deep spring-wells of its original beginnings. This is my reading of the preacher’s recommendation: uzekhor ) et-bor ) eikha bymey behurotheykha, Open image in new window , ‘remember the creator [present] on the days of your youth’; Ecclesiastes 12:1, Casanowicz (1894, ex. 58). A careless observer of human evolution could be tempted to proudly appreciate a place at the very top of Jacob’s Ladder, and disdain association forms characteristic of lower levels or earlier stages of (his own) development. I believe that this kind of hubris leads to a very narrow and restrictive view, risking to block new intuitions and to impair creative thought, endangering individual evolution and obstructing the natural flow of life. This is my way to interpret, in the context of this article, the title given by Max Weber (1919, p. 488) to his celebrated pun (as stated at step 7 of Fig. 1): Das aber bedeutet: die Entzauberung der Welt. ‘This however means: taking away the magic or the disenchantment of the world.’ Surely, this interpretation requires some poetic license, since it deviates from the precise technical meaning of this expression as used in Weber’s writings, see Pierucci (2000, 2013). In conclusion: Jacob’s Ladder is not a one way lift: Our ascension on Jacob’s Ladder, may require, at different points of the journey, the mobilization of distinct climbing techniques, using resources that are characteristic of any or all of the seven ontogenetic steps, as depicted in Fig. 1. Life requires consciousness and demands rigorous forms of argumentation, but life also needs dreaming, strives for new insights and wants to explore creative pathways; constantly visiting all pavements of its own ontogeny, and revisiting all of its own steps of development. Reading this paper, one could have the impression that our discussions may be relevant to some areas of religion or psychology, but have little to do with modern science and technology. In this section, I will argue otherwise, in connection to some topics we hope to develop in further research. Magical thinking has been associated with several bizarre forms of belief that, in turn, can lead to many undesirable effects and unwanted consequences, ranging from early onset of psychotic disorders or schizophrenia, see Sommer and Kahn (2009, Ch.8, p. 121–131), to some forms of malpractice in complementary or alternative medicine based on shaky scientific foundations, see Stevens (2001). These and similar claims and their interpretations are the subject to heated debates, but one assertion seems uncontroversial: Magical thinking requires proper demarcation criteria. Demarcation criteria is a well-established area of epistemology, concerned with the general classification of statements and arguments. Traditionally, it assumes a dichotomic posture: Acceptable versus unacceptable forms of presenting evidence, correct versus incorrect patterns of argumentation, etc. Modern science and technology can not function properly without demarcation criteria. Scientific reasoning must have working criteria to set itself apart from folk superstition. Without operational demarcation criteria, everything goes: Wishful thinking is as good as a carefully planed experiment, fairy tales are on equal standing with the best scientific theories backed by hard empirical evidence. Nevertheless, we must be careful not to throw the baby out with the bath water. Several schools in philosophy of science dedicated great efforts to design strong demarcation criteria, in the hope of creating safeguards for good scientific practice. However, some of these criteria are so harsh that they leave no room for the intuitive reasoning that is vital at the creative stage on the onset of any new theory. Hence, such criteria create a schizophrenic mind-set at the core of science itself. Nobel Prizes are awarded for the most original and creative work in science, but the creative process itself must be left outside of the building, and can not be the subject of logical or epistemological analysis. Looking at Jacob’s Ladder, as depicted in Fig. 1, we see that statements using the precise language of mathematics are placed at step 7, on the very top of the ladder. Meanwhile, causal explanations are placed at step 4, in the middle of the ladder. Not surprisingly, the philosophical movement of Positivism, either in its earlier version headed by Auguste Comte (1798–1857) or in its later Wiener Kreis version developed at Vienna from 1922 to 1936 and around the world afterward, wanted good science to get rid of causal explanations, perceived as an archaic form of thinking. Positivism lacks the driving force for serving as aleader on this road. True, it is able to eliminate obstacles, but it cannot turn them into aproductive factors. For its activity is essentially critical, its glace is directed backward. But progress, advancement requires new associations of ideas and new queries, not based on the results of measurements alone, but going beyond them, and toward such things the fundamental attitude of Positivism is one of aloofness. Planck (1950, p. 171–172). Whoever instead seeks for higher connections within the system of natural laws which are most easy to survey, in the interest of the aspired harmony will, from the outset, also admit those means, such as reference to the events at later instances of time, which are not utterly necessary for the complete description of natural processes, but which are easy to handle and can be interpreted intuitively. Planck (1915, p. 71–72), as quoted in Stöltzner (2003, p. 294). Metaphysics (in its gnoseological sense) is concerned with causal explanations, that is, (valid) answers to questions asking why things are the way they do. These are the narratives and metaphors, often intertwined with abstract symbolic statements, we use to build our understanding, to gain insight or intuition about objects in our world and the way they work. Ontologies are carefully controlled languages developed as tools that enable scientists to better describe what is it that they do, and also how and why they do it. The key words in scientific ontologies are labels for the fundamental objects and concepts recognized by (or existing in) a scientific discipline. A scientific ontology also specifies valid forms used to articulate these words in language. Of course, the articulation rules defined for a given language, its grammar and semantics, only make the language useful if they somehow correspond to the composition rules for the objects the words stand for. According to this perspective, I believe that ontology and metaphysics, as formerly defined, must rightfully assume their role of protagonists, taking their place at the center stage of the scientific drama. In Statistical theory, all this discussion is related to considerations concerning the role played by statistical parameters, that is, (random) variables representing non-observable, latent or theoretical entities: At one extreme, positivist inspired and other varieties of metaphysics-hostile schools, see parameters as mere auxiliary variables to be eliminated at later stages of the statistical inference, for good science should only be concerned with predictive statements about directly observable quantities. In this view, the legitimacy of a scientific hypothesis should be accessed solely by the coherence of corresponding betting odds that, theoretically, could be used for gambling on observable outcomes predicted by the pertinent scientific theory. At the other extreme, metaphysics-friendly schools see parameters as representing quantities of theoretical interest, that can and should be used in legitimate truth bearing statements. In this view, the legitimacy of a scientific theory should be judged by its predictive power, by the coherence and consistency between well-formulated scientific hypotheses and empirical observations, but also by the elegance and simplicity of its formalism, by the understanding it provides about pertinent phenomena in its field of interest, by the insights and intuitions it brings for current and future research, etc. At Borges and Stern (2007), Stern (2007a, b, 2008, 2011a, b, 2014, 2015) and Stern and Pereira (2014), these ideas are developed much further. In this section, we have discussed several issues concerning the permanence later in life of forms of thought and association mechanisms that are characteristic of early stages of mental development. We have also examined good reasons for having an ambivalent attitude concerning these archaic forms of association: On the one hand, they seem to serve the creative mind, working as a natural vehicle for new ideas and innovative insights. On the other hand, they are inherently difficult to control, lacking effective mechanisms needed for rigorous manipulation. My conclusion, concerning the topic of coexistence of rigorous or formal reasoning and intuitive or heuristic arguments, concerning the permanence of different forms of thought that have been developed at distinct stages of life, is summarized by the famous song of Frank Sinatra at this article opening quotation. Given our conjugal conclusion, the dichotomic accept/reject approach of traditional demarcation criteria seems too harsh. This approach may be able to highlight some essential characteristics of a good scientific theory as fix und fertig, that is, as it should stand ‘up and running,’ in its complete and ready format. Nevertheless, the dichotomic approach seem unable to take into proper consideration important intermediate steps in the creative process that eventually leads to an accepted theory. Perhaps, it is possible to replace dichotomic demarcation criteria, designed to filter only those arguments that fit well on the very top level of our Jabob’s Ladder metaphor, by placement demarcation criteria, designed to characterize statements and arguments that can be properly placed on each one of the seven steps. Such expanded demarcation criteria should tell us the scope of each step of the ladder, where a given argument can be placed, and how this argument is or can be linked to other arguments that are properly placed at steps immediately above or below. This, I believe, is an interesting line of future research. The topics discussed in this final section may also help to solve a recurrent problem in the history of science, concerning the presentation of the intuitive ideas that lead a scientist to formulate a new theory. Sometimes, scientists avoid the (public) discussion of heuristic arguments that were important stepping stones in their path of discovery, but that are also difficult to justify in a formal setting. When, in contrast, such original insights are presented in the scientific literature, they may face heavy backfire based on more rigorous analysis. Even if better justified by subsequent research, the initial form of such an heuristic argument may share some characteristics of magical thinking, being based on formal similarities or structural analogies across distant domains. I believe that the study of some archetypical historical cases can help us advance this topic of further research. An archetypical case, that may serve ideally to such a study, is Einstein’s mesoscopic approach to Brownian motion. The heuristic argument at the core of the mesoscopic approach is built over a syllepsis, in the sense that the same object, namely, a colloidal particle suspended in a solution, is interpreted simultaneously in two distinct and seemingly incompatible contexts. At the one hand, the particle is interpreted in a microscopic context, according to the laws of discrete (corpuscular) statistical mechanics and kinetic theory of heat. At the other hand, the same particle is interpreted in a macroscopic context, according to continuous hydrodynamics (Stokes’ law) and phenomena related to Osmotic pressure on semi-permeable membranes (van’t Hoff’s law). Not surprisingly, when examining this historical case, Norton (2006) uses the descriptive title – miraculous argument; see also Duplantier (2006, p.226) and Renn (2005, p.31) for further comments, and Cheng (2013, Ch.1,2, p 3–30) and Kennedy (2012, Ch.3, p. 56–104) for didactic expositions of Einstein’s approach. Immediately after its publication, Einstein (1905) paper was harshly criticized, exactly because of the sylleptic nature of the mesoscopy approach. Nevertheless, after Jean Perrin (1910) provided strong experimental evidence for Einstein’s theory, the same sylleptic nature of the mesoscopy approach was seen as a stroke of genius, for it had the merit of generating legitimate ontological alignments, that is, it built a bridge that effectively created valid and meaningful connections between objects or concepts from distinct areas of knowledge; see Stern (2014) for additional comments on this subject. As soon as Einstein’s approach was accepted, the consequent acceptance of these new ontological alignments finally put to rest the fundamental and long standing controversy of molecular reality, that is, the debate about the ‘real’ existence of atoms and other corpuscular entities identified as indivisible (or discrete) constituent units of matter (and energy). To conclude, we hope this paper could serve its purpose as a brief exploration into some ancient forms of thinking and intuitive argumentation, whose importance has long been recognized in the field of Biblical hermeneutics. Moreover, we hope to have shown that these and similar forms of intuitive reasoning are of great importance for creative work in general, and science in particular. Furthermore, we hope to have outlined some characteristics of an epistemological framework in which such forms of heuristic thinking can be welcomed, studied, and integrated to more traditional areas of research in the fields of history and philosophy of science. The author is grateful for the support of IME-USP, the Institute of Mathematics and Statistics of the University of São Paulo; FAPESP - the State of São Paulo Research Foundation (grants CEPID 2013/07375-0 and 2014/50279-4); and CNPq - the Brazilian National Counsel of Technological and Scientific Development (grant PQ 301206/2011-2). Finally, the author is grateful for advice and comments received from Rafael Bassi Stern, Rabbi Ruben Sternschein, from anonymous referees, and from participants of the 1st World Congress on Logic and Religion, held on April 1-5, 2015, at João Pessoa, Brazil, having as main organizers Ricardo Silvestre and Jean-Yves Béziau. Bacon, F. (1605). The Advancement of Learning. Reprinted by Cassell and Company ed. (1893). Digital rendering by The University of Adelaide Library at http://ebooks.adelaide.edu.au/b/bacon/francis/b12a/complete.html. Segal, E. (2011). Escalators to Heaven. The Jewish Free Press, Calgary, December 2, p.13. http://people.ucalgary.ca/~elsegal/Shokel/111202_Escalator.html.